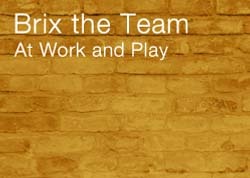 BRIX is committed to making every effort to ensure that you have a memorable experience while visiting Brix The Salon. Our retail products are: DAVINES, YON-KA PARIS, KAI, AVEDA, & VOLUSPA. Your welcome to order products over the phone and we will ship them directly to you with only an US postal fee added. Ajia, Andria, Rene, Melonie, Natalie, Stephanie, Kelli, Dina, Libby, Jacklyn, Michelle, Angelica are doing business in the same building as BRIX The Salon. 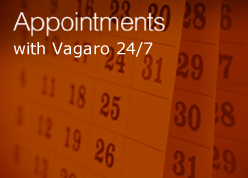 They set their own Schedules, Services and Prices. Prices can vary, please call them for exact quotes. 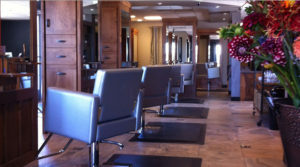 All services include a complimentary scalp massage in our lather lounge, a haircut designed just for you, style & finish. All services below include a therapeutic scalp massage with a ,haircut and grooming. Jessica is doing business in the same building as BRIX The Salon. She sets her own schedule, services and prices. Soin Teenager 45 min. $65. Deep pore cleansing and balancing. Le Grand Classique 50-60 min. $85. 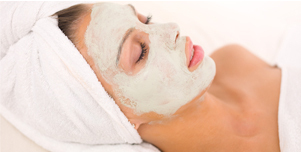 Deep cleansing, with clay mask to restore your skins complexion and add a glow. Hydralessence 60 min. $90. Long-lasting deep hydrating facial. Advanced Optimizer 60-75 min. $95. Anti aging, lifting and firming. Alpha-Vital 60 min. $90. Pampering chemical peel to prevent fine lines and wrinkles. Excellence Code 75min. $120 Advanced technology with 4 patiented ingredients that attack aging skin and related issues with noticeable results. Includes two deep exfoliation’s with anti aging massage techniques, and an exclusive biocellulose mask. Truly luxurious anti aging facial. Airbrush Make-up $85. This make up is perfect for your wedding day, it is sheer and yet gives complete coverage. It is water proof, and will enhance your wedding day photos. Mineral makeup is used to bring out that special smile in your eyes. (Julie, Sarah and Quincy are doing business in the same building as BRIX The Salon.) They set their own Schedule, Services and Prices. Prices can vary, please call them for exact quote. 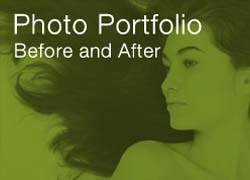 All services using AVEDA. (all manicures and pedicures are done using AVEDA.) Also available for retail through BRIX The Salon. Manicure $30. Shaping of the nails, cuticle treatment, warm towel wrap, hand massage, & polish of your choice. Pedicure $40. An inviting warm foot soak, shaping of the nails, cuticle treatment, callus smoothing, warm towel wrap, foot massage, & polish of your choice. 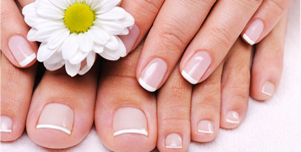 Spa Manicure $40. Shaping of the nails, cuticle treatment, sugar scrub with a hot towel wrap, relaxing massage from the elbow down, hot paraffin treatment & polish of your choice. Spa Pedicure $55. An inviting warm foot soak, shaping of the nails, callus treatment, sugar scrub w/ hot towel wrap, scented paraffin treatment. finished w/ a relaxing massage from the knee down, & polish of your choice. A polish that is cured with LED lights, so it is dry in seconds. The polish lasts 3-4 weeks. Gelish is not harmful or damaging to the natural nail. Aveda Products are available for purchase at BRIX The Salon. Upstairs in private suites. Come to relax and enjoy our private spa lounge area. There is no need to hurry, plan on relaxing after a wonderful massage. MASSAGE & ESTHETIC GIFT CERTIFICATES ARE AVAILABLE THROUGH YOUR THERAPIST. *The Massage Therapist’s & Kadie are private businesses renting suites on the spa level at BRIX The Salon. Please call Michelle to book your appointments. Michelle is a warm and compassionate person who truly cares about your health and wellness. She has 30 certifications and has been a Massage Therapist for over 13 years. Michelle looks forward to meeting you. Please call Bethany to book your appointments. Bethany is warm and easy to be around. She listens to what you share with her, and customizes the massage to meet your concerns. She specializes in Deep tissue massage and is available through the week, and on Saturdays for those who work late throughout the week. Bethany has been a Massage Therapist for many years in the Auburn Area. Bethany believes that the greatest compliment you can give her is your referral. She looks forward to meeting you. Kadie Huntoon is offering Micro blading brows and eyelash extensions on our spa level. Give her a call and follow her at purelykadie.esthetics on Instagram.